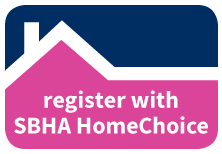 SBHA HomeChoice is a “Choice Based Lettings” scheme which offers people who want to rent a property more choice over the type of home and area they live in. 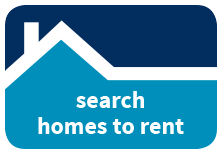 Properties available for rent are advertised on a weekly basis online, in the Southern Reporter, Hawick Paper and in our SBHA offices. Once you have registered you can bid for up to 5 properties per week. 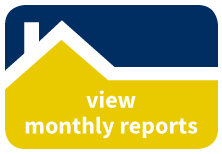 Property adverts are available from 12 noon every Monday. You can bid for properties at any time of day up to the advertised closing time, either on the Homechoice website or by calling 0845 873 6464 to use the automated bidding service. Bids received by both these routes are instantly recorded. More properties are also advertised on Gumtree and on Moving Soon. You can like us on Facebook to receive updates on new and featured properties. SBHA is registered as a data controller with the Information Commissioners Office (ICO). SBHA stores and processes a significant amount of your personal data in order to manage your tenancy (or other relationship) with us. Our overarching aim is to manage your personal data in line with all relevant legislation and best practice, as well as being open with you about what information we hold and why we hold it. What’s going on at your local area office? From next Friday (26th August), you can drop in to see a Neighbourhood Housing Officer at our local area offices at Hawick and Galashiels. The offices are open from 8.45am to 3.45pm (closed for lunch between 1pm and 2pm). There is no need to make an appointment. We will no longer be holding specialised Anti-Social Behaviour surgeries at our area offices on a Friday. If you would like to speak to one of our ASB specialists, please call 01750 724444 to make an appointment. This coming Friday 17th August the local offices at Hawick and Gala will only be open for pre-arranged appointments. If you or a member of your household’s health is affected by your present housing situation, you can complete a Health Assessment form to submit with your housing application. 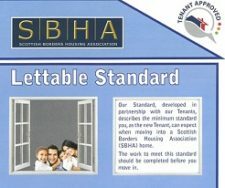 You can download the form here or contact any SBHA Office and request a form be sent to you. Want to move home? Mutual exchange might be the answer Mutual exchange is where a tenant effectively ‘swaps’ homes by finding another tenant who wants to exchange properties. The tenant you swap with can be from another housing association or local authority home anywhere in the UK. But both landlords need to give their permission for the move to go ahead. You can try to arrange a mutual exchange through a variety of ways including word of mouth, advertising in newspapers or postcards in shop windows. Mutual Exchange is especially useful for tenants who: – Are interested in moving to a new area – Want to find a more suitable home – Need a smaller or larger home – Want to avoid a lengthy wait for a transfer – Would like to be able to inspect the other property thoroughly. All tenants have a legal right to ask for a mutual exchange and we will not unreasonably refuse permission. However, there are some reasons why you may not be able to exchange. To make it easier for you we have joined HomeSwapper, the UK’s biggest online mutual exchange scheme. HomeSwapper can be used to help you find an exchange in the Borders or anywhere else in the UK and is now free for all SBHA tenants to use.